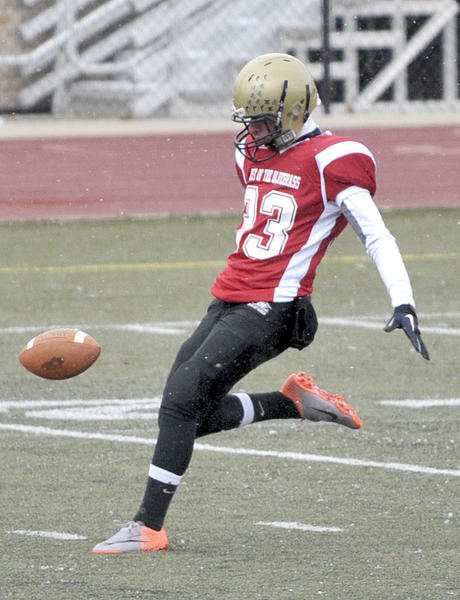 Not many people in Grant County can say they have played in a high school all-star football game, but for senior kicker Preston Cahill it was a game he enjoyed participating in. Preston Cahill kicks the ball at the Best of the Bluegrass game. 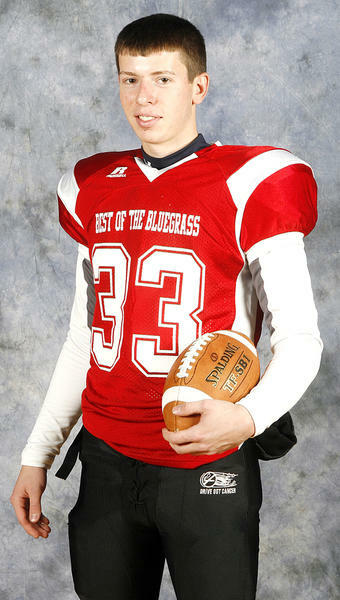 Cahill was one of two kickers in the state to play in the Best of the Bluegrass Dec. 12 in Louisville at St. Xavier High School. Cahill was on the Greater Louisville roster and 48 schools were represented in the game. Even though the Kentucky team defeated Greater Louisville 28-12, Cahill was just pleased with being there. Former Grant County football coach Mike Davis attended the game and was proud of Cahill’s performance. Davis said that Cahill was one of the easiest players he had to coach and that it can be difficult playing both soccer and football during the fall. On top of being selected to the all-star game in Louisville, Cahill also received some awards for his efforts on the football field. He was named Courier-Journal Second Team Defense for the punter position. Cahill also received an award from Davis that was created especially for him, as he is the most accomplished kicker in GCHS football history. As far as what the future holds for Cahill in football, a few colleges in the area are recruiting him, including Hanover, Centre College and Georgetown.